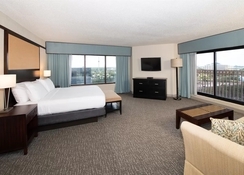 Located right next to SeaWorld, the Doubletree by Hilton Orlando at SeaWorld is a great location to spend your holiday in the various theme parks and attractions that are on offer. With a huge range of room types available, this hotel caters for everyone from solo travellers, couples and families with children. 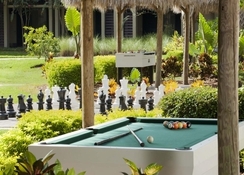 There are rooms built for disability access and the hotel also features a spa, mini-golf, 3 outdoor pools, fitness centre, restaurants and bars as well as a short distance to Universal Studios, Walt Disney World and the Florida Mall where you can use the shuttle service from the hotel. 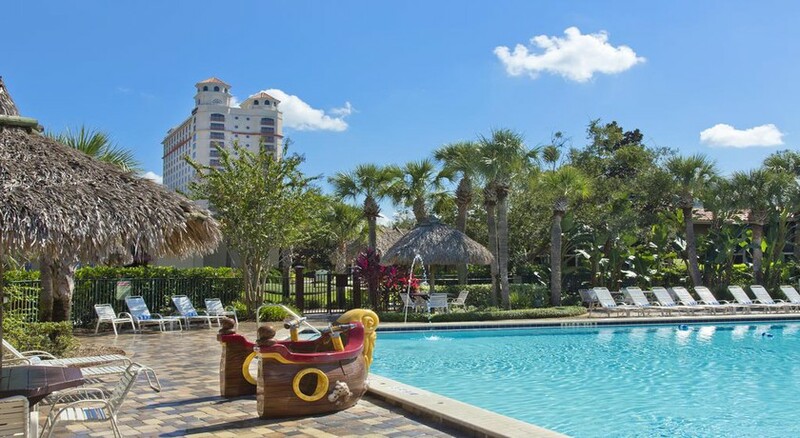 Doubletree by Hilton Orlando at SeaWorld provides a great starting point to not only visit one of Florida’s best attractions but to explore the rest of Orlando too. 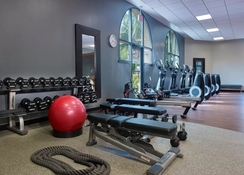 Situated right next to SeaWorld, you can also make your way to the other main tourist spots in Orlando with ease. Universal Studios (3.7 miles), Florida Mall (4.3 miles), International Drive (1 mile) and Walt Disney World (7.3 miles) are all relatively close. Golfers can get in 18 holes at the nearest course which is just 1.5 miles away and whether you are staying for the theme parks, shopping or even business (the Orange County Convention Center is just a short drive) this offers a great location. 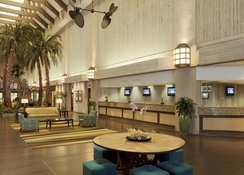 With 1004 rooms split into 19 room types, there is accommodation suited for everyone at the Doubletree by Hilton Orlando at SeaWorld. Rooms sleep between 2 and 4 people and all come with WiFi, air conditioning, an iPod docking station and flat screen TV. 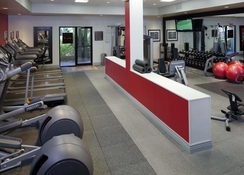 There are rooms available specifically for disability access while they are all furnished in a modern style and offer a comfortable respite from exploring all the attractions in Orlando. The hotel features 4 eating and drinking options. The poolside Barefoot Bar offers a range of light snacks, cocktails and beers while Laguna is open for breakfast, lunch and dinner. You can grab a relaxing drink at the Laguna Lobby Bar that also offers a tapas menu while the market is open from 6am to 12am and provides a deli, pizzas and a range of drinks and other snacks. There are also any restaurants, bars and cafes within walking distance of the hotel including an Italian Steakhouse. SeaWorld is the main attraction right next to the hotel and you can enjoy quick queue, early entry and transportation by staying here. The other major tourist sports such as Universal Studios and Walt Disney World are easily accessible too. The hotel has 3 outdoor pools, a 24-hour fitness centre to keep in shape on your holiday and there are numerous spa and massage treatments available at extra charge. There is mini-golf and games room for the kids.